Introduction: Joan of Arc was the French hero of the Hundred Years War and the catalyst who tipped the war in favor of the French after a series of disheartening English victories. Using the strength of Christianity in France, Joan described her visions of the angel Gabriel to justify leading the French army against the English. When the English captured her, they tried her as a heretic for misinterpreting and lying about her religion, a religion they coincidentally shared. Both France and England used religious justification to create a political end for Joan. The French were inspired by Joan’s powerful leadership skills, and they spread the word of her religious visions to gain popular support for the war in France. The English accused Joan of being a false prophet, but she was actually put to death because of her staunch refusal to accept English authority and the consequent political threat she created for England. The use of religion to explain the unexplainable in Joan’s situation harkens back to an ancient practice. Greek and Roman mythology provided an explanation for the origin of mankind, the seasons, and the stars, among many other things. Hinduism promoted the idea of the social caste system in India by preaching reincarnation based on previous lives. 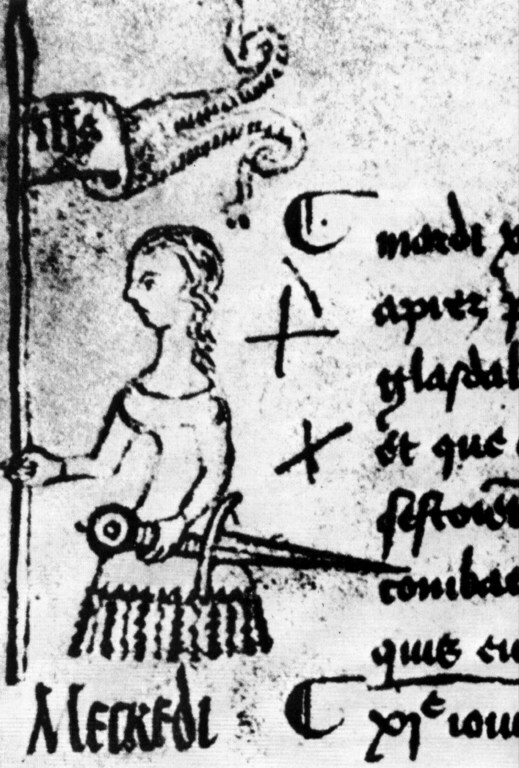 When Joan appeared, a young peasant girl with no military experience who wanted to lead the French army because of a religious vision, the religious justification of the unknown was employed again. The French saw an opportunity in this unlikely religious commander; she was lower class, female, and strongly pious. By speaking of her story as a miracle, Joan could be – and was – used to generate popular support for the war and to rally the soldiers with the evidence that God was on the side of the French. The view of Joan as both a saint and a miracle for the French cause continues to this day through the careful preservation of her memory in French art and literature. Sympathy is generated through a carefully biased telling of her life and death in both of these forms.